Justin Rose won the 2013 US Open and it was an impressive display of ball striking on the final day. Particularly impressive was his last two full shots (and chip) on the 18th hole. Justin is known as one of the best, most consistent ball strikers around, so I thought it would be interesting to analyze his swing to see what we can learn from it. He gets himself into such a great starting position that it would be hard to make a really bad swing from this setup position. 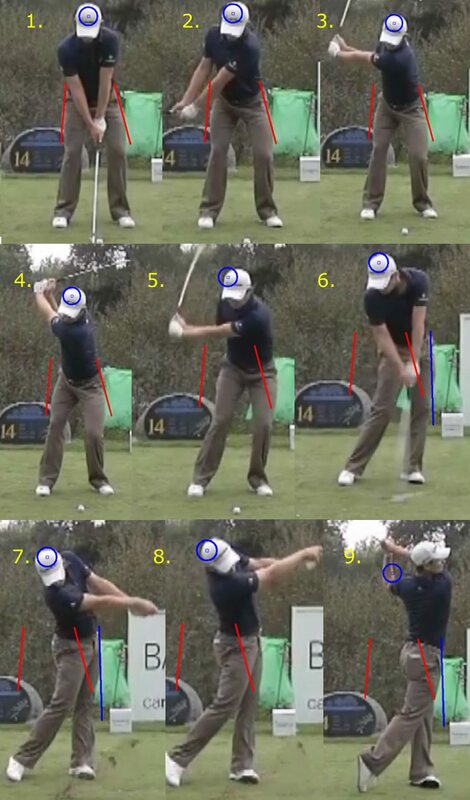 Just keep in mind however, anyone can have a setup as good as Justin Rose. You just need to make it a habit. Ok, let’s have a look at the first part of his backswing. 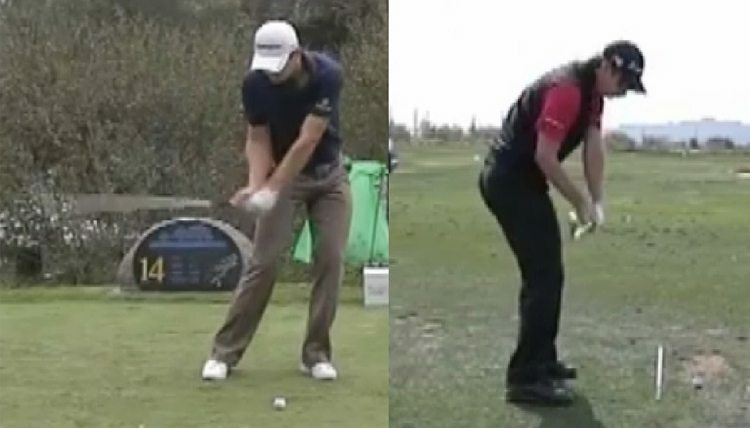 This is a critical move Justin makes and it’s a move that most Amateur golfers can learn a lot from, because Justin has moved the club away with his shoulders. He has not done anything to manipulate the club with his hands. This is a classic one piece take-away. One thing he does that a lot of people miss is he swivels his head to the right at the start of his backswing. This is a move that Jack Nicklaus made famous to help him get a bigger turn. 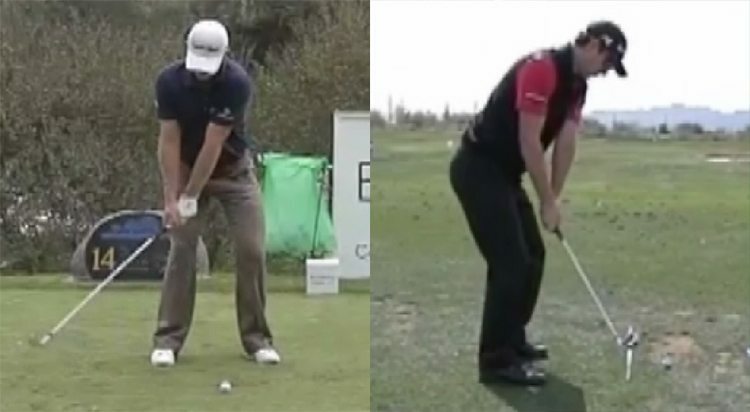 It’s a move you can easily do as well to get more width in your backswing. In the swing image on the left you’ll see a classic half way back position, with the left arm and club forming an L. And on the right you see Justin’s swing plane is in a very good position just inside the golf ball. This is the complete opposite of what most amateur golfers do. Now, Justin is doing something that is not that common with his hips that I’m going to discuss in a minute. But first I want to show you his top of the backswing position. 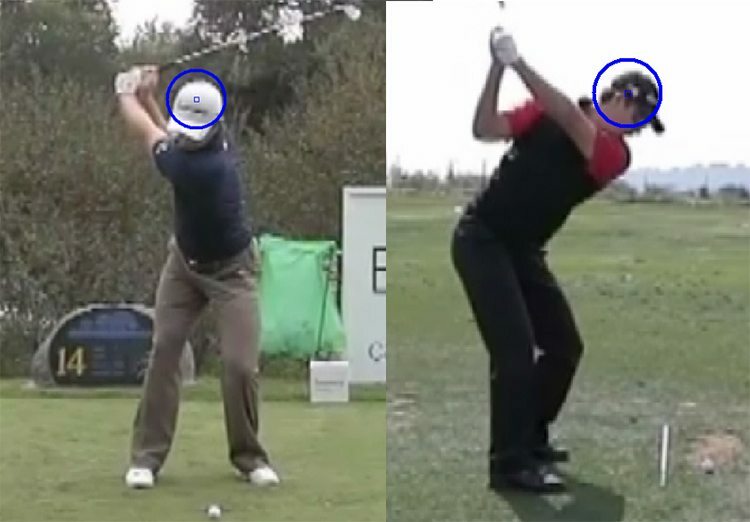 As you can see in the top of the backswing pictures above, Justin is keeping his head in the same position as it was at address, but his head is lower at the top of his backswing than at setup. That is natural and normal. For years Tiger used to get a lot of flak for lowering his head a lot on the backswing and downswing, but I’m sure he would do that again in a heartbeat if he got back to winning majors. In the picture on the right you’ll see a bit of daylight between his legs. The reason that is happening is because of what he’s doing with his hips. And at the end of this swing sequence I’m going to show you what his hips are doing exactly. But first, let’s look at Justin’s position halfway into the downswing. I would have expected a more acute angle between his left arm and club at the halfway point in the downswing (45 degrees as opposed to 68), but he clearly gives up a little bit of distance to be super accurate. And if you’re as long as he is… then it’s no big deal. You can see in the picture on the right that his swing plane is just a bit outside the ball, which is great. And again, his swing plane is generally the exact opposite of most amateur golfers. I could be really picky and say Justin is coming a fraction from the inside and doesn’t have quite enough lag… but I won’t. 🙂 All and all, it’s pretty good positions here. Very solid impact position with the hands in front of the clubhead. From the down the line view you can tell he has approached the ball from the inside with the positioning of the right arm. Now here are some positions from the down the line view until the end of his swing. One thing I really like about Justin’s follow-through is how he keeps his hands in front of his chest. There are no big manipulations of his wrists. The club is controlled by the big muscles. And speaking of big muscles, I mentioned the hip move Justin is making. 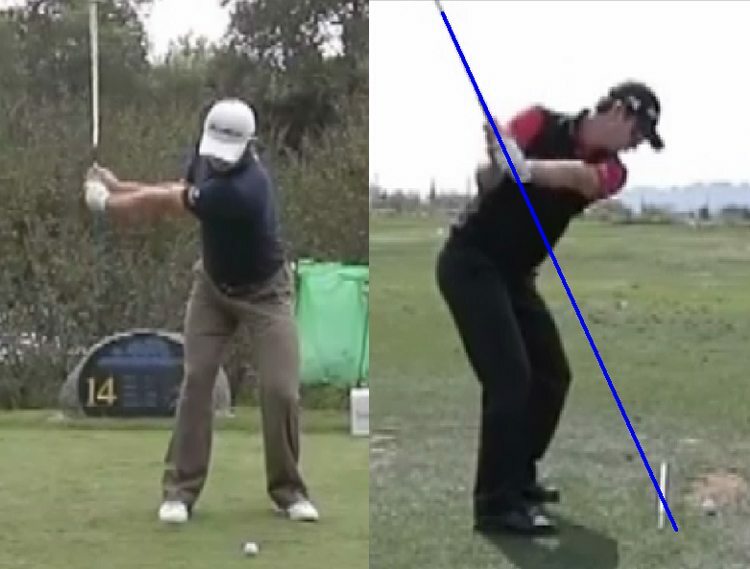 Here is a sequence of what his hips are doing in the swing. I have marked where his hips were at the start of the swing for easy reference. So what is he doing with his hips? 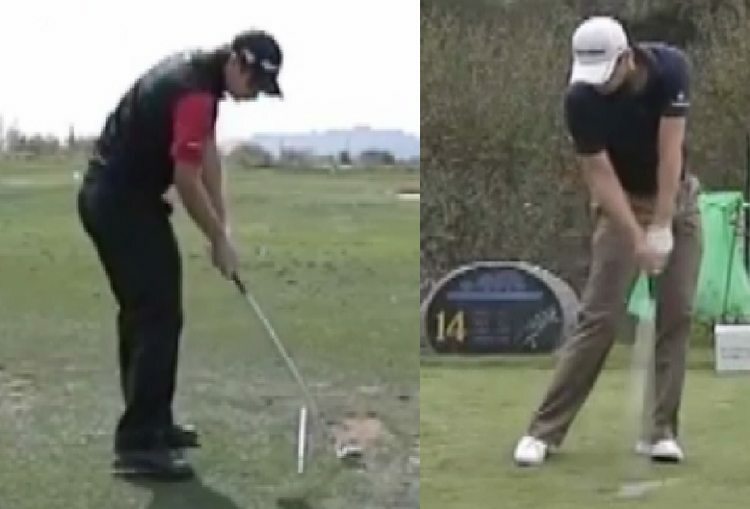 Well, from the time his hands are opposite his right thigh in his backswing his hips are moving towards the target. In picture 2 above you can see this slightly, but I can tell you that his hips are shifting toward the target before that point. And this shifting continues right up to the point of impact. Then from that point on the hips do not shift any further. 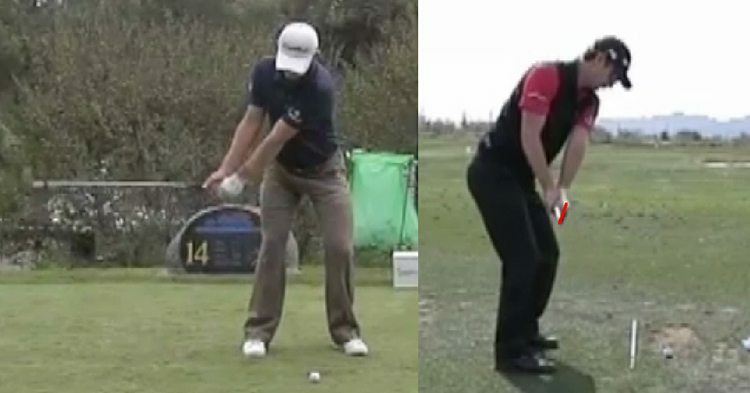 After impact the hips are simply rotating. This is a secret move that I showed you Ben Hogan did. If you want to see that article simply click here. Why would Justin do that move with his hips as opposed to the normal “move to the right on the backswing and the left on the downswing”. I believe it’s because of improved timing. 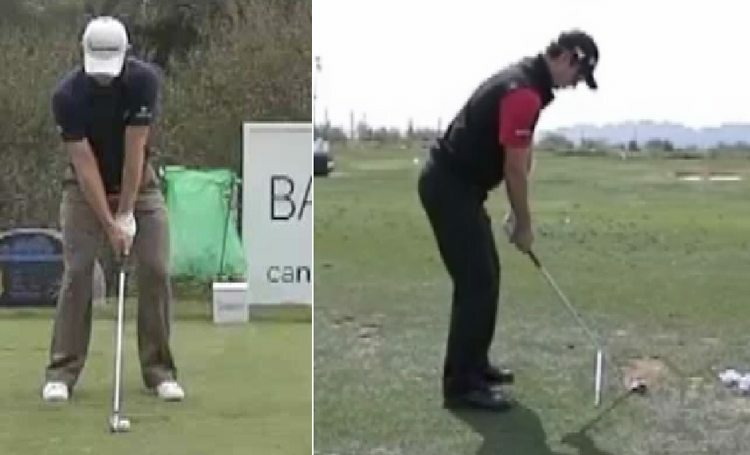 If you can get your left hip to the same point at impact time after time without moving it to the right, then it makes the golf swing easier to repeat. The catch is, you must not move your head towards the target in the backswing and downswing. So that’s the analysis of Justin’s swing. 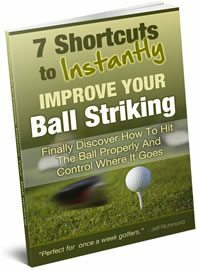 What can you learn from it and apply to improve your ball striking? Here’s my list for you. 1. 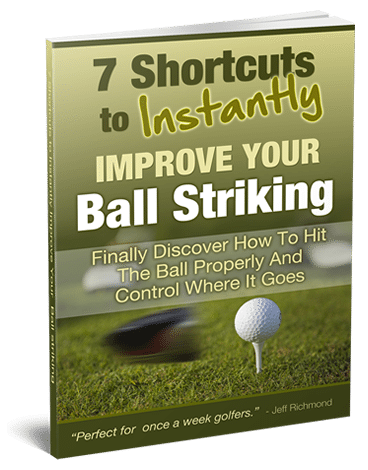 Perfect your setup, because this will give you a better chance of ball striking success long term. 2. Take the club away with a one piece take-away. 3. Work on getting your swing plane so it’s pointing pretty much at the ball on the backswing and downswing. 4. Keep your hands in front of your chest as much as possible. 5. Move your hips toward the target on the backswing and downswing, while keeping your head in the same position. So there you have it. A review of Justin Rose’s golf swing. 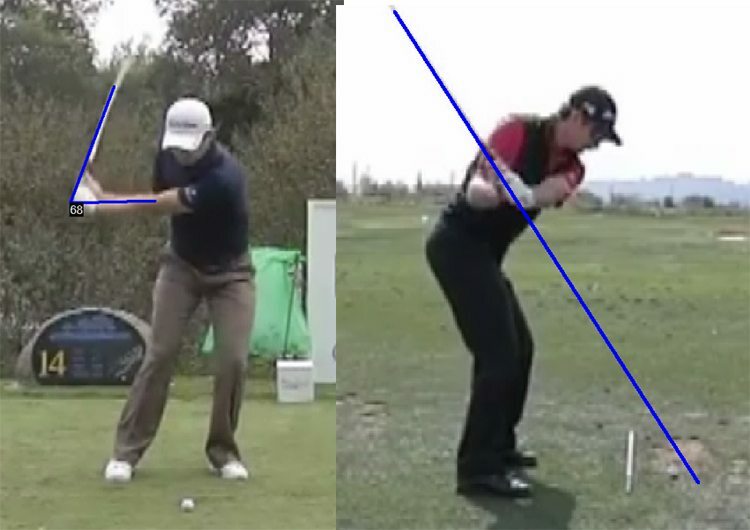 It’s a very efficient, simple and repeatable golf swing that most golfers would do well to learn from and emulate. It’s going to be interesting to see Justin Rose kicks on to win more majors.